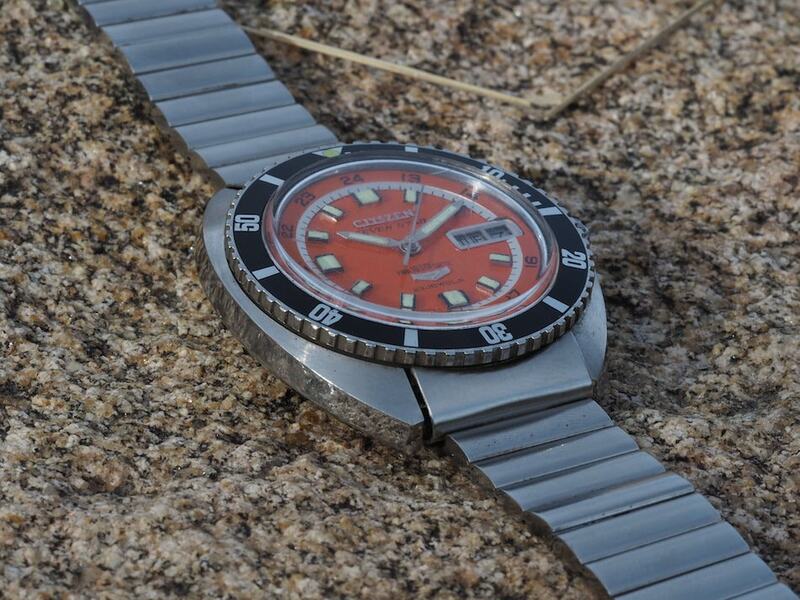 If you’re keeping track, this is now our fourth #TBT article focusing on a vintage Citizen. I’m a big fan of these and in a vintage world that’s gone nuts, Citizen represents one of the few value plays left out there. 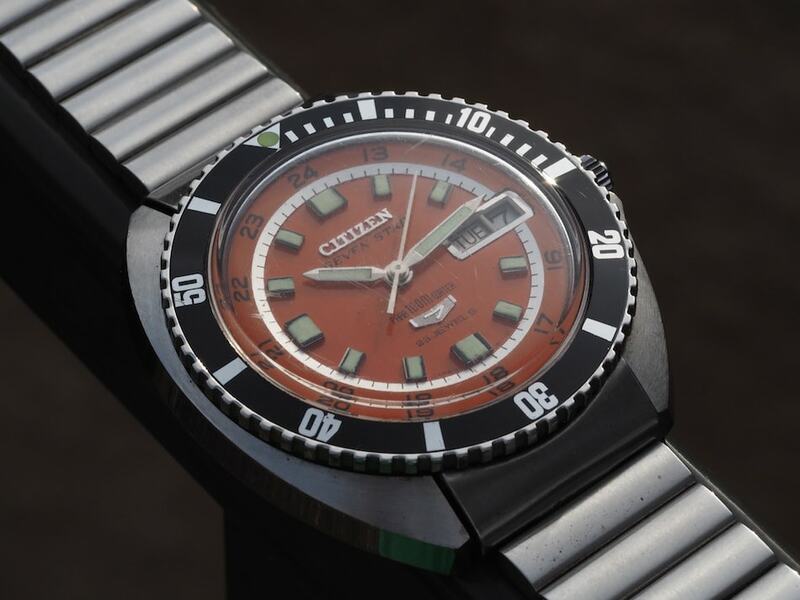 After all, Citizen is a household name and while the modern brand’s style of communication somehow ranks as even more cryptic than Seiko, the older pieces are wonderfully made and deserve consideration. 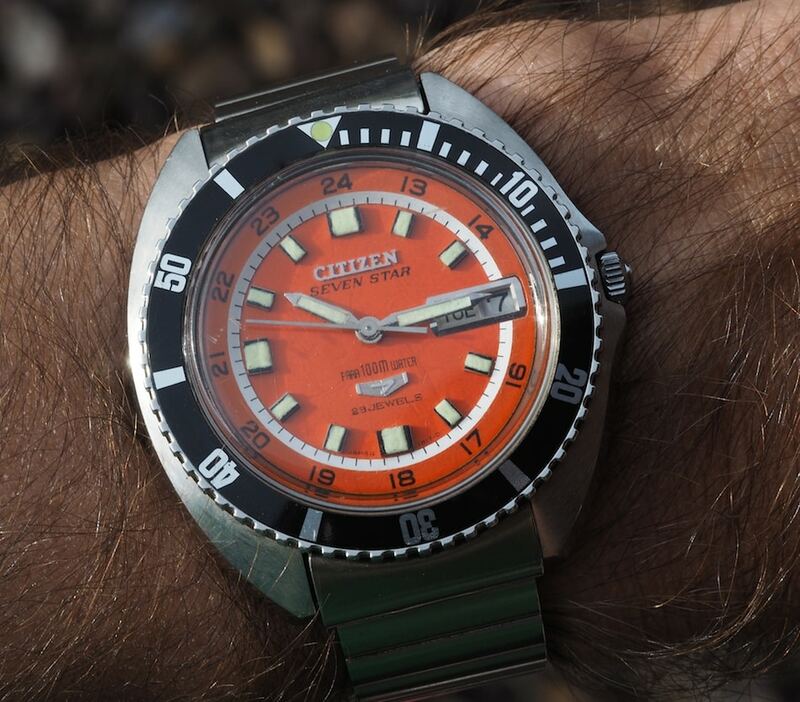 Today’s Citizen Seven Star APSS 52904-Y was born way back in 1968 and was available in a variety of dial colors – the orange you see here, blue, silver, red, and black. What you see here is the JDM version (I did buy it in the Land of the Rising Sun), so note that export versions are slightly different on the dial, hands, and contain a serial of 4-520858 Y on the case back. 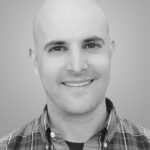 Like a lot of older Citizens, the Citizen Seven Star APSS 52904-Y has received verbiage on the two well-known sites that have done yeoman’s work in trying to document the history of the brand. Have a look here and here for more pictures and information. 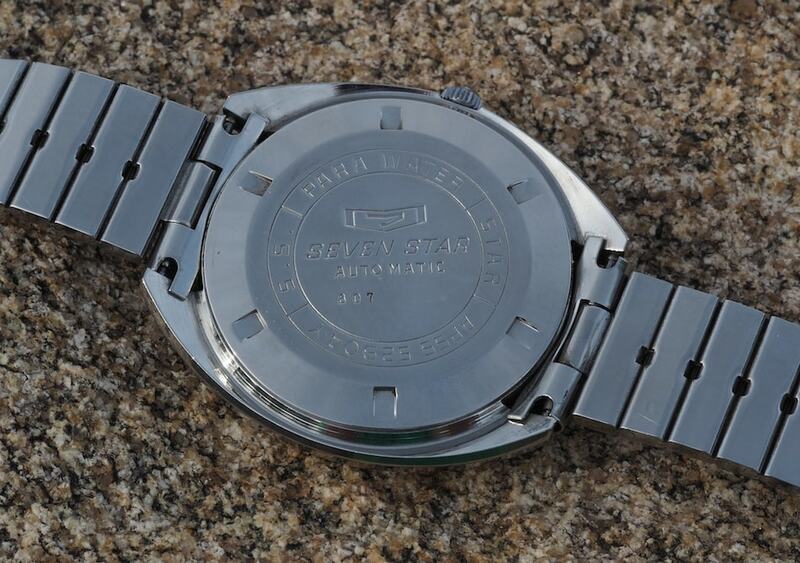 What you’ll likely come away with is that this Seven Star is an important part of the Citizen diver lineage. The Citizen Seven Star APSS 52904-Y checks in at a significant 44mm in diameter and is fashioned in stainless steel. The style is an early rendition of the c-case that would remain at the height of fashion for roughly the next decade. A bi-directional rotating friction fit dive bezel sits outside the acrylic crystal. 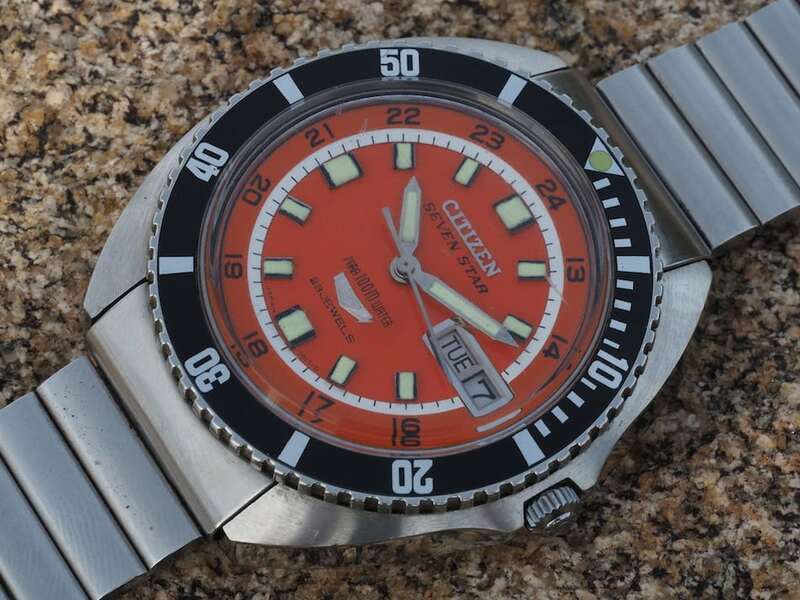 There’s little doubt that Citizen was fond of the Rolex Submariner because the aluminum inlay bezel is the spitting image of the Swiss legend’s aside from having a flush-fitting lume pip at 12:00. 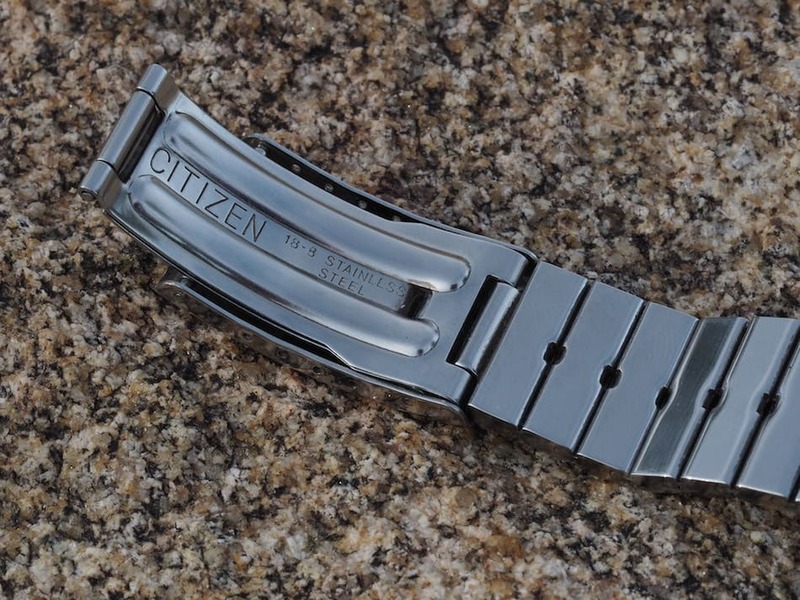 The case comes in at roughly 47mm lengthwise and sports a handy 20mm lug width – something Citizen’s primary competitor rarely embraced during this period. 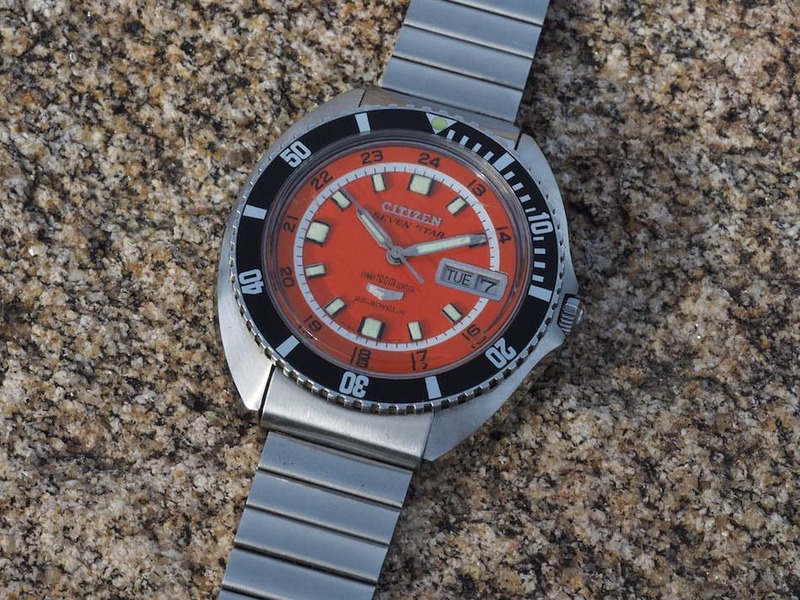 With 100m of water resistance, the Citizen Seven Star APSS 52904-Y would likely be chided as a poseur of a dive watch, but this complaint is one that’s most easily made in hindsight. I always bring this up, and will again, but 100m was certainly above average and more than enough for all but the most serious of recreational divers. The only real tell that this watch wasn’t made for the real deep is the push-in signed crown. While orange has been discredited as being most legible under water, the design of the watch, overall, is highly readable. With a serious amount of lume on applied indices paired with lumed sword hands, time telling is anything but problematic. In order to help fill the massive real estate under the crystal, a silvery minutes ring and then an outer 24-hour guide border the indices. You can see a day/date display at 3:00, which is bordered in silver. We bludgeon modern watches when they add such information to an otherwise uncluttered dial, but somehow a 50+ year old Japanese watch pulls off the somewhat fussy and geeky look with aplomb. The Seven Star might not come off as clean as, say, a stark Seiko 6105 but it’s a looker nonetheless. The Citizen Seven Star APSS 52904-Y comes on a rather funky bracelet. If you’re a fan of the 80’s and 90’s Breitling Rouleaux bracelets found on the Chronomat 7750 Chronographs, this one might be up your alley. Or, maybe you like Speidel bracelets. 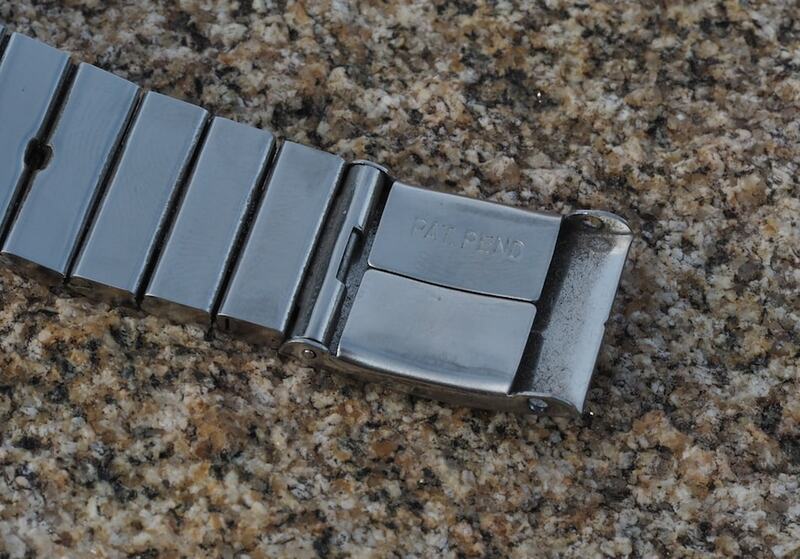 Anyhow, you get the idea because this steel bracelet is essentially a series of horizontal slats. The clasp is simple and unsigned, but it does carry the Citizen name on the inside. The links can be unscrewed and there’s an interesting spacer that must have been designed for longer wrists. Without it, the bracelet actually fits me without removing links. 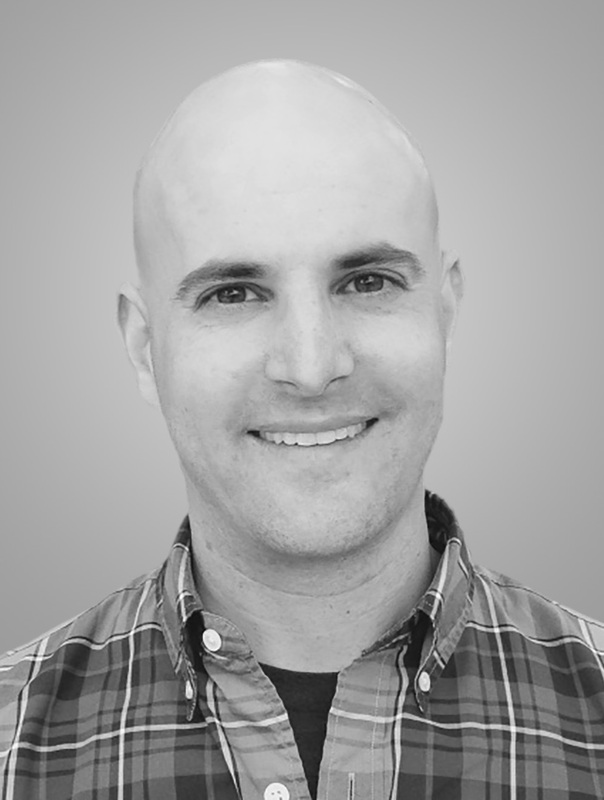 It’s comfortable and, surprisingly, isn’t a hair puller. Inside the Citizen Seven Star APSS 52904-Y, we have the venerable 5270. This long-running movement features 23 jewels, can be handwound, and has a quick setting day and date. 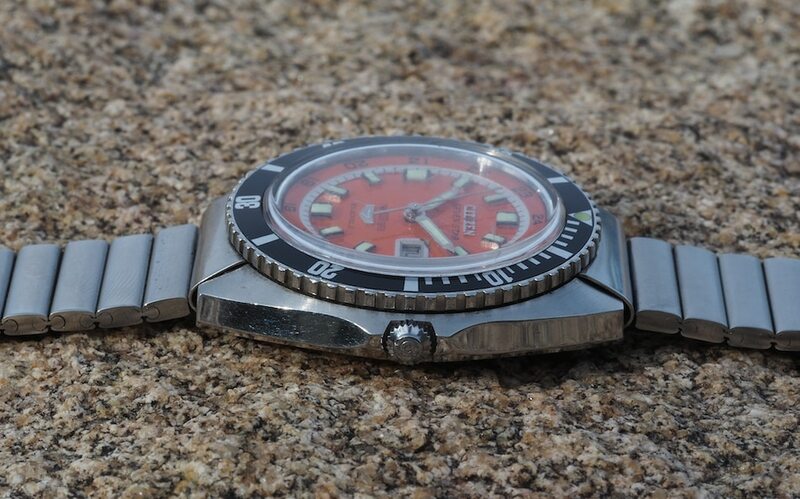 It’s the same movement we looked at in the Citizen 2812-Y Seven Star diver not so long ago. It’s a fine runner and from a user perspective, easily as good as anything made by Seiko – the ability to handwind is particularly nice. The Citizen Seven Star APSS 52904-Y looks fantastic on the wrist. Despite its larger size, the c-case shape means that it’s nearly square in its dimensions and, therefore, fits a puny wrist like mine. The case is slim and that makes it easy to wear under a shirt cuff. The crystal does extend above the bezel, but the entire watch still remains thin. It’s weighty, but not overly so. Think of it as about 75% as heavy as one of the Hardlex-equipped Seiko 6105’s and you’d be close to the mark. I’ve seen some wear these watches with something like a Tropic and they look great as well. 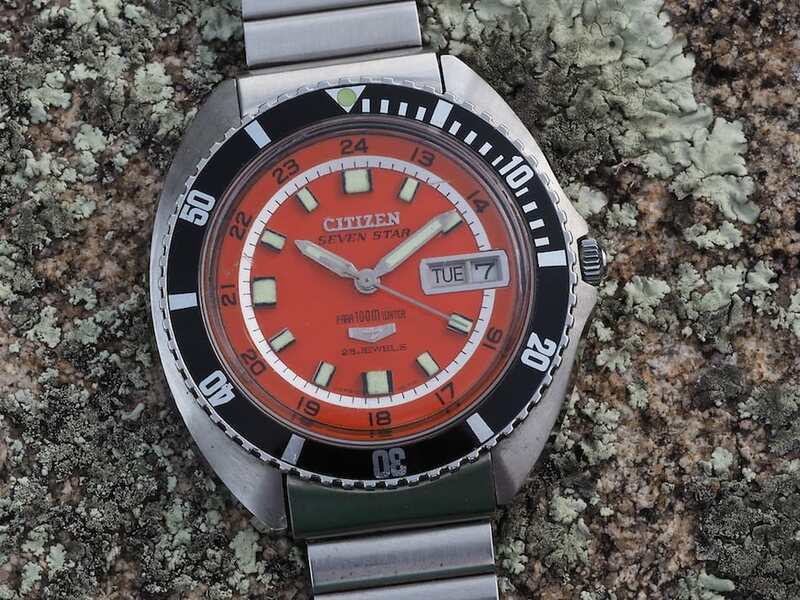 A Citizen Seven Star APSS 52904-Y can be found every so often on eBay, but is best found in its country of origin: Japan. Prices range from roughly $400 up to the obscene, but I doubt they truly sell at ludicrously listed levels. The piece you see here is in amazing condition and looks like it picked up its only scratches – on the crystal – by lying in a desk. It took some spirited bidding to come out on top, but was worthwhile in the end. 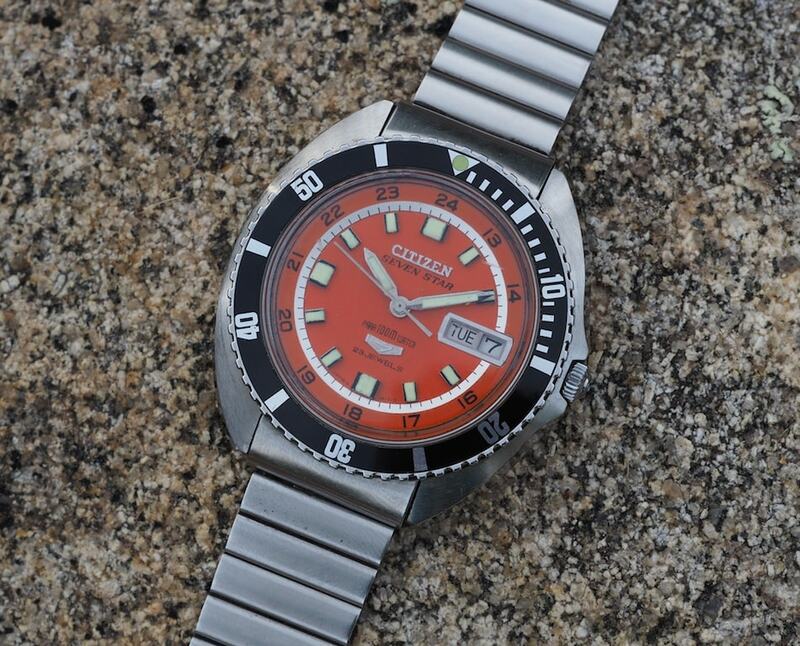 As mentioned, it’s a nice foil to the numerous late 60’s Seiko divers one sees on many Instagram feeds and the watch yields nothing in terms of quality.